Just when we thought we couldn’t get enough of dreamy waterfront venue, Ancora, it now has an adjoining bakehouse! From the team who brought Osteria in Casuarina, The Bombay Cricketers Club at Salt Village and Taverna in Kingscliff into the world, Baked at Ancora is Tweed Heads’ newest delicious addition. 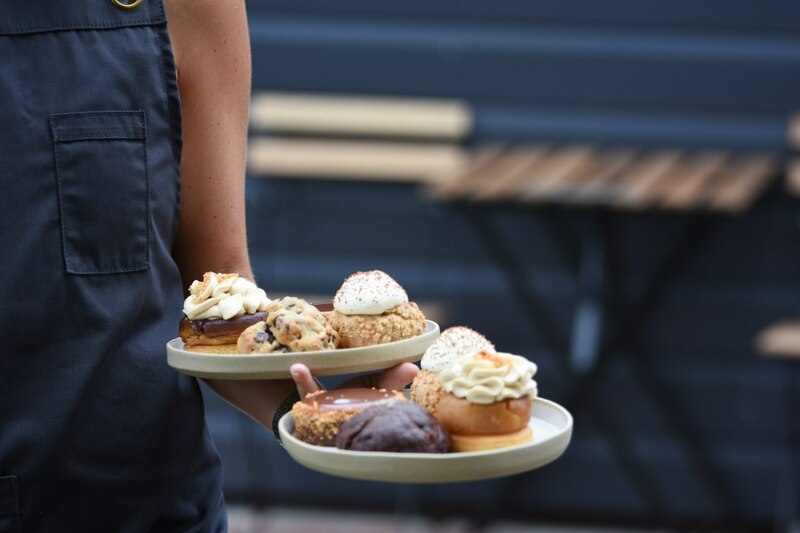 The patisserie-slash-Parisian bakehouse is perched on the picturesque Terranora Creek, and is conveniently positioned next to a park (aka the perfect spot to plonk your picnic rug or snag a picnic table while you enjoy the view… and a croissant). Inside, Baked seats 40 people, and (speaking of pastry) their menu boasts the works of renowned pastry chef, Gavin Rudd. We could liken Rudd to an artist with free reign, as there is really is no limit to his creativity. Pastries, croissants and artisan breads are the standouts, but what bakehouse would be complete without good coffee? Thankfully, your caffeine fix has bean taken care of by local Tweed Heads roasters, Ground Control. As promised, their pastry cabinet will be on rotation which means you’ll never know what you’re going to be treated to! The mouth-watering chocolate praline tart with chocolate shortcrust pastry and a smooth dark chocolate filling drizzled in caramel cremeux and milk-chocolate glaze is sure to satisfy that sweet tooth, while the apple Breton tarte Tatin topped with a salted caramel chantilly cream will make those who want at least one serve of fruit feel a little less guilty! If you’re craving sugar with a side of minimalism, opt for the brioche buttermilk glazed doughnuts (which incidentally are square, not round). You’ll also find rustic, crusty loaves of bread like sourdoughs, fruit loaves and hand-shaped olive and rosemary rounds lining their shelves, as well as flaky sausage rolls and takeaway baguettes with tasty fillings like Bangalow ham and butter, and salami, butter and pickles for those on the go. After a meal? Their a la carte breakfast and lunch menu is set to feature everything from Japanese-style okonomiyaki omelettes to Hawaiian bread French toast to mascarpone scrambled eggs. It’ll feel just like Paris, minus the stuffy air and overpriced everything! It’s official: Brunswick is the new Byron!